Improve your physique, build lean muscle, increase strength—Glute Lab is the all-in-one glute training system that will teach you how to do all this and more. Your glutes influence every aspect of your physical life: from the way you look and how you feel to your ability to run, jump, cut, lift, and twist. Yet few understand how to properly build and develop this all-important muscle. Enter Glute Lab. In this book, Bret “The Glute Guy” Contreras—PhD, personal trainer, and bestselling author—lays out a glute training system that will help you reach your strength, performance, and physique goals. 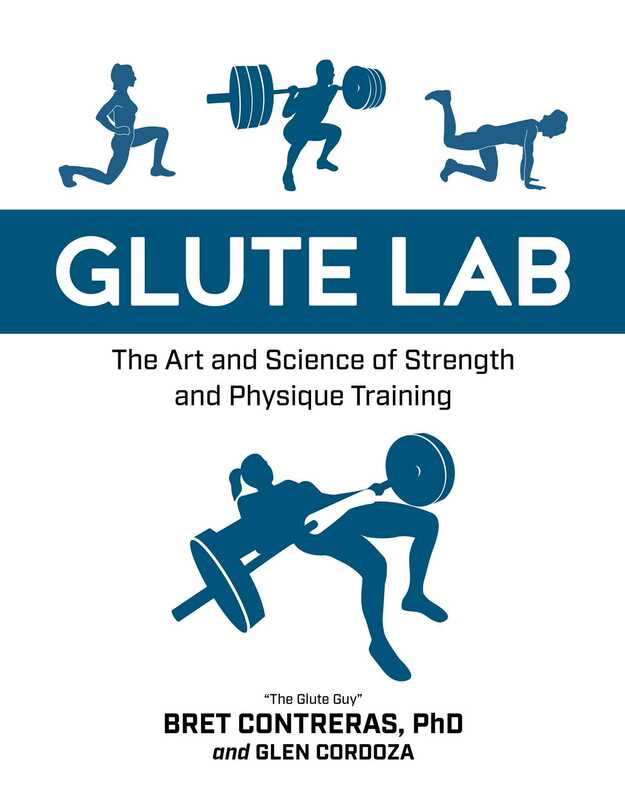 Through descriptive narrative, step-by-step images and illustrations, and easy-to-follow training programs, the Glute Guy distills the science and art of glute training into one comprehensive manual. Whether you’re a bodybuilder, physique competitor, athlete, powerlifter, CrossFitter, personal trainer, physical therapist, or simply someone who wants to improve your physique, this book contains everything you need to know about building bigger, stronger, leaner, higher-performing glutes.